Greece. Otho (1832-1862). 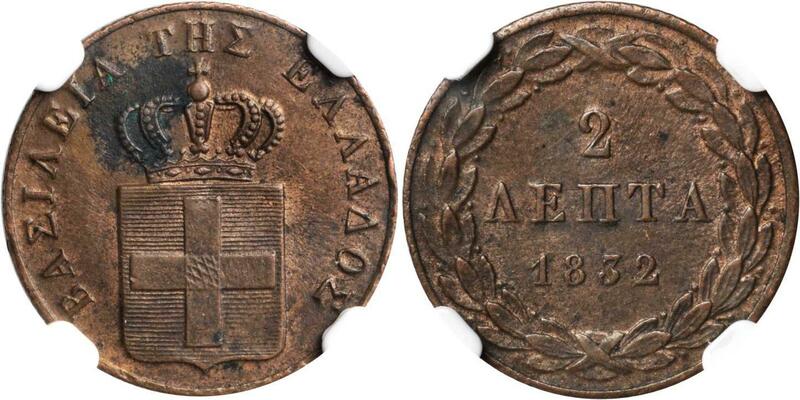 2 lepta, 1834 (Ae - 2,53g). Divo 25c; KM 14. Good very fine. 1857,GREECE. 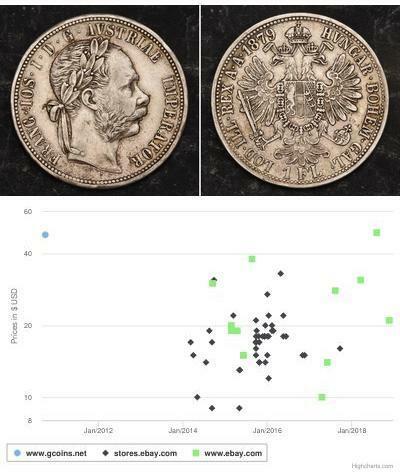 2 Lepta, 1857. NGC AU-53 BN.KM-31; Geo-110. 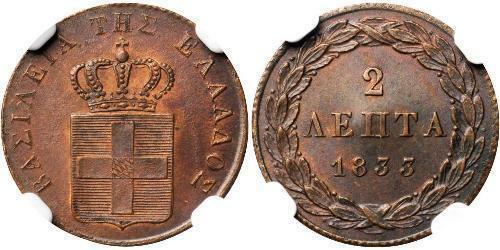 1837,GREECE. 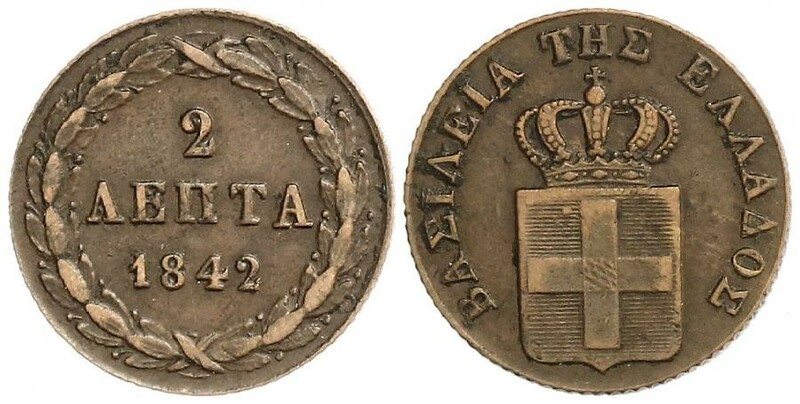 2 Lepta, 1837. NGC MS-62 BN.KM-14; Geo-41. Glossy brown surfaces with good luster around devices. 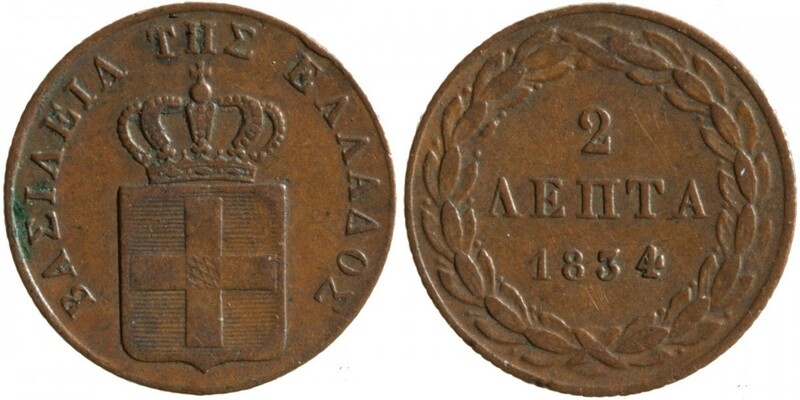 1833,GREECE. 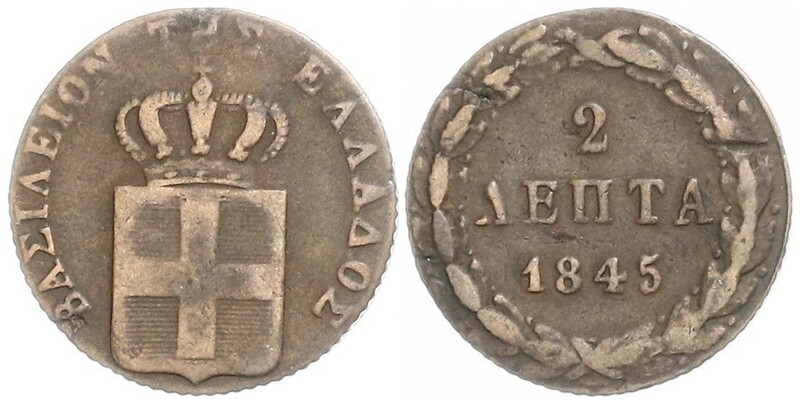 2 Lepta, 1833. 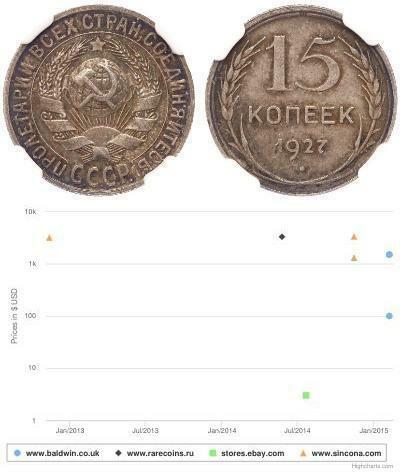 NGC MS-63 BN.KM-14; Geo-19. Red luster around devices. 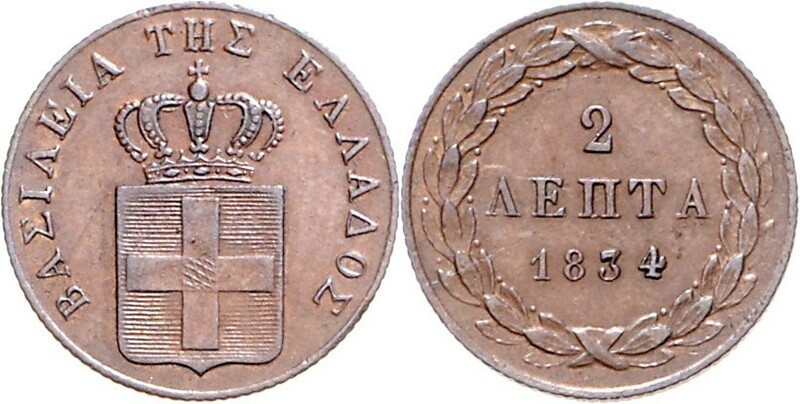 1832,GREECE. 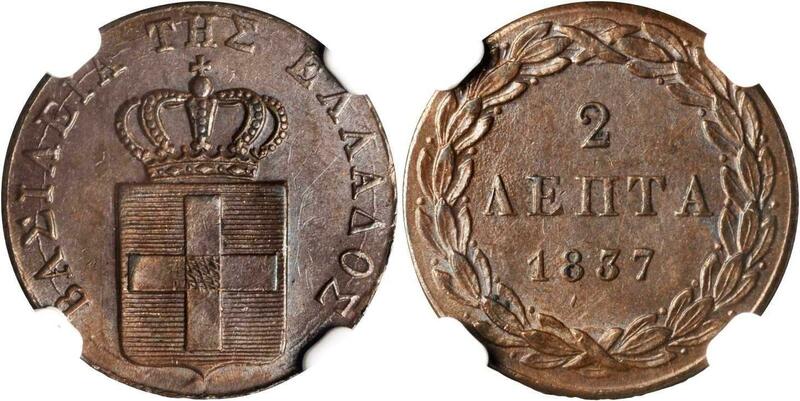 2 Lepta, 1832. NGC AU Details--Environmental Damage.KM-14; Geo-16. Some mint luster around devices, minor dark patch near crown. 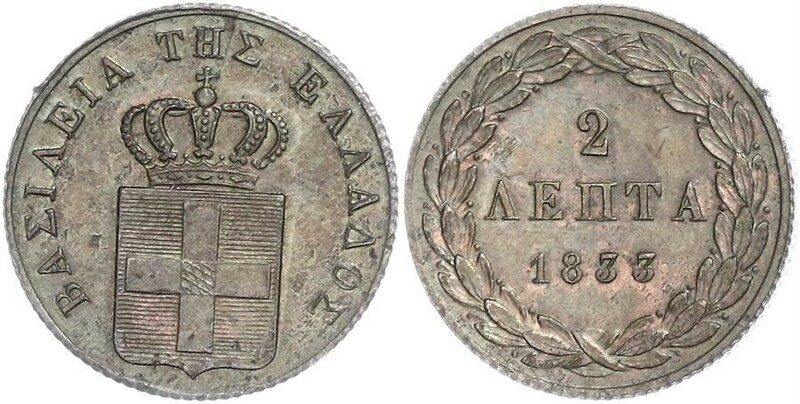 1848,GREECE. 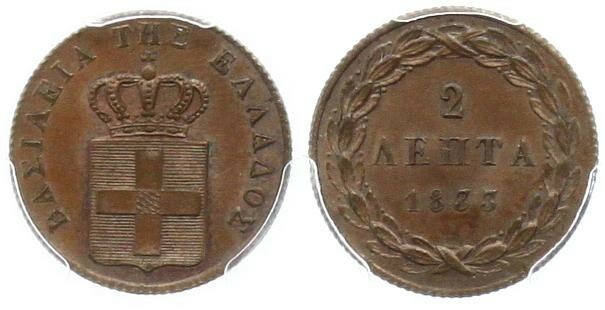 2 Lepta, 1848. NGC MS-63 BN.KM-27; Geo-90. Sharply struck with dark brown surfaces. 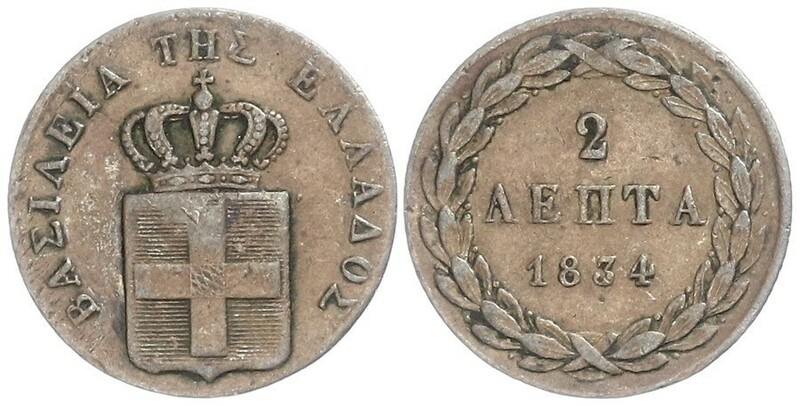 1832,GREECE. 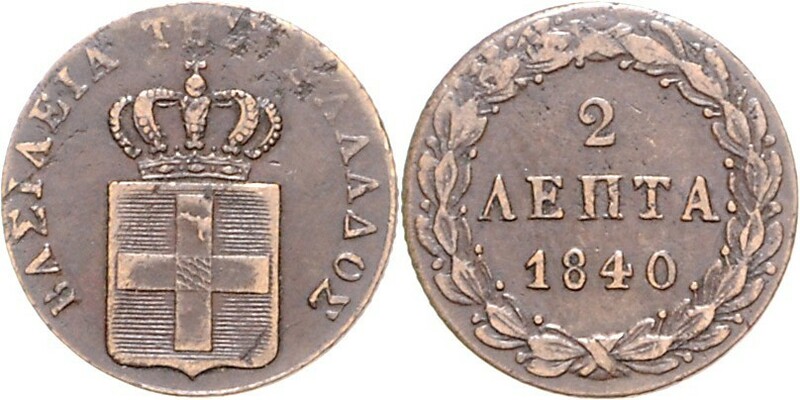 2 Lepta, 1832. NGC MS-65 BN.KM-14; Geo-16. Chocolate brown toning with attractive luster.